We’ve all heard about stem cell and now known procedure that is called stem cell therapy and how this innovation is changing the medical world. Truth is, stem cell and stem cell therapy has been around for years but it’s only recent that the term has been commonly used. Most news I’ve read about stem cell are often associated with beautification and how it can be used to bring back youth or at least be the gateway to the fountain of youth. I honestly cannot grasp the idea of what it is all about and who is it really for especially with all the news and all the stem cell products readily available in the market today. 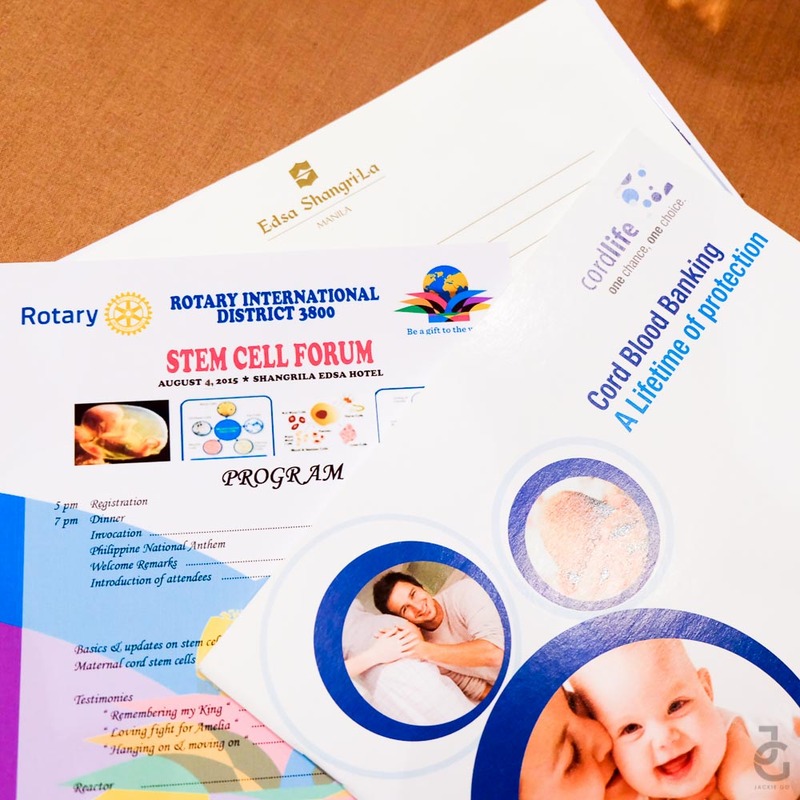 My curiosity lead me to want to learn more about stem cell therapy and lucky for me, I was able to attend a Stem Cell Forum hosted by Rotary International District 3800 and Cordlife Philippines. It aims to enlighten the attendees on what stem cell and stem cell therapy is all about. Here’s a rundown of what I’ve learned during the forum held last August at Shangri-La EDSA Hotel. Stem cell is a cell capable of self-renewal. Stem cells are nature’s building blocks and repairmen. These can be found in the embryo and the placenta. While for adults they’re in the bone marrow, circulating blood, eye, foot, joint, heart and tooth among others. Cell therapy is a procedure using living cells for replacement, regeneration, repair of diseased, injured, aged cells, tissues, organs. There are three classification of stem cell therapy: allogenic (from donor: related or unrelated) or autologous (from self) and xenotransplant (from non-human source). Now that we know the basic on stem cell and stem cell therapy, let’s focus on one of the sources of stem cells which is the umbilical cord. Here’s a quick history on umbilical cord blood. -Stem cells discovered in the umbilical cord in 1974. – The 1st cord blood transplant to treat Fanconi anemia in France was in 1988. – The 1st cord blood to treat leukaemia was in a 1990. -The 1st unrelated donor gets cord blood transplant in 1993. -Cord blood is officially an alternative to bone marrow in 2001. Cord blood is the blood that remains in the umbilical cord and placenta after delivery of the baby. It is found to be a rich source of stem cells yet it is usually thrown away (medical waste). 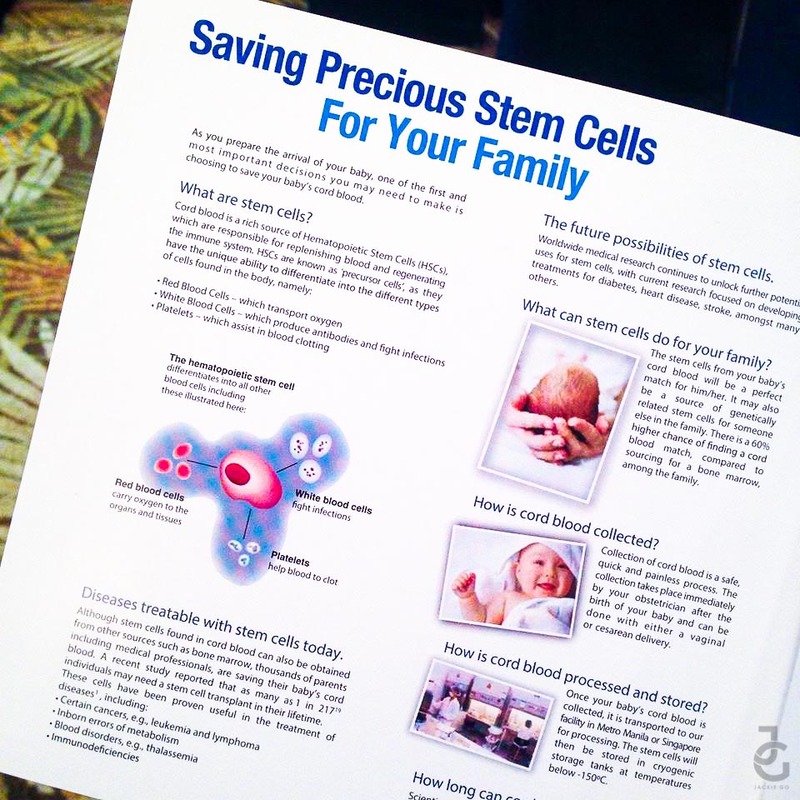 The advantages of cord blood versus other stem cell sources is that the matching is less stringent. There is also less incidence of rejection and there is no previous exposure of stem cells to drugs, toxins or infections. The procedure is painless and non-invasive and there’s higher harvest of stem cells. Plus, it is cryopreserved shortly after birth thus, it is not affected by ageing. A baby’s cord blood stem cell can be used the baby (100%), biological parents (0-50%), biological siblings (0-75%) and close relatives (0-20%). Not having enough knowledge and not taking time to learn about cord blood and cord blood banking before I gave birth to lil’ Ms. JG & lil’ Mr. JG was one of my regrets as a proactive parent. It is only now that I realize, I could’ve invested on my children’s cord blood because stem cells from it can treat certain diseases. Now that I’ve really learned the basics of stem cell and stem cell therapy, Mr. JG & I might consider cord blood banking should we have another baby. This is something I believe parents-to-be should consider as an investment for their baby. Thank you Rotary Club for having me and thank you Cordlife Philippines for enlightening me regarding stem cell and stem cell therapy. If you want to know more information visit Cordlife Philippines’ website.